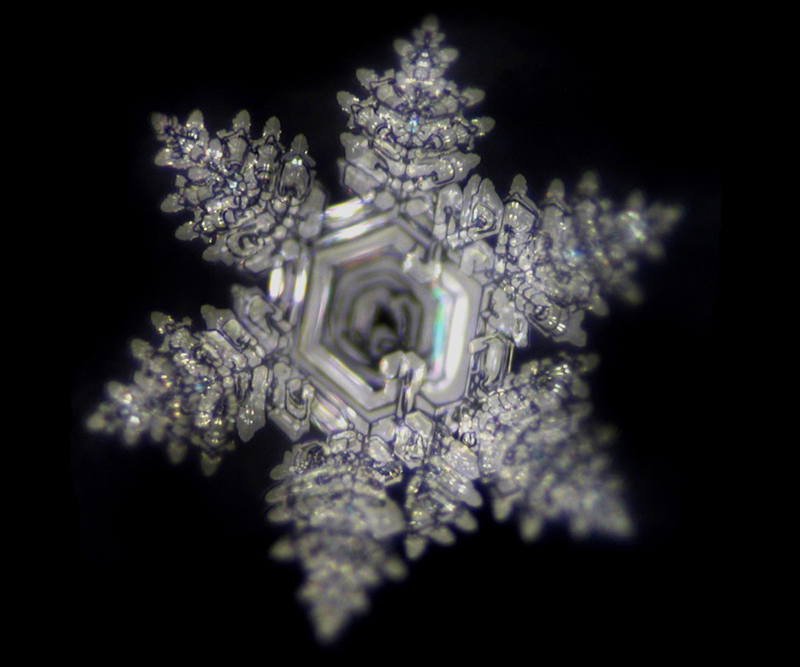 In this section “water” you can see water crystals, photographed on top of frozen waterdrops : tap water – well water – spring water – creek water – river water – sea water – and much more. Obviously, the most photographed water is our tap water. It comes from a high source in the Bernese Prealps. 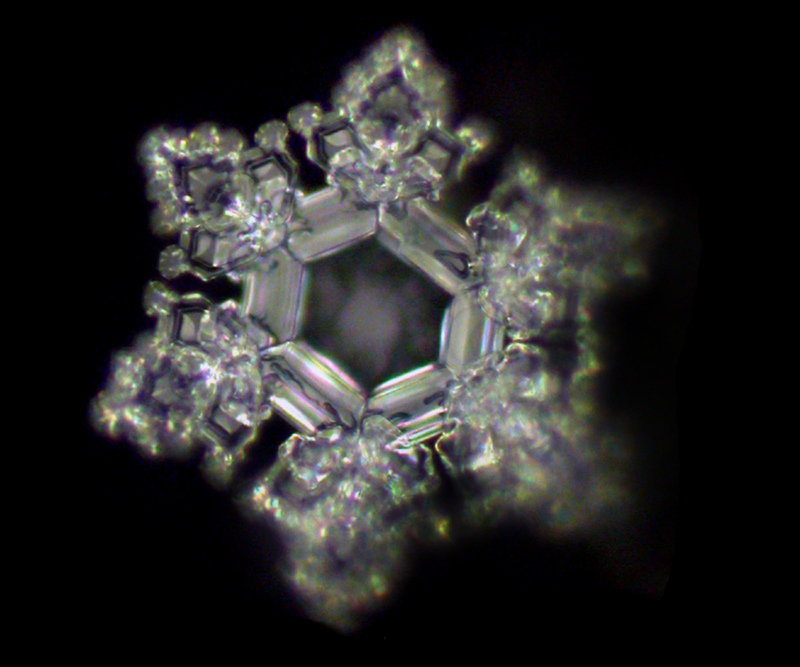 There are only few minerals in this water. Probably because it moves on its long underground path mainly through granite layers. 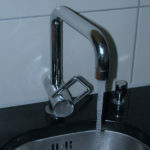 Granite contains quartz and the water likes quartz very much. 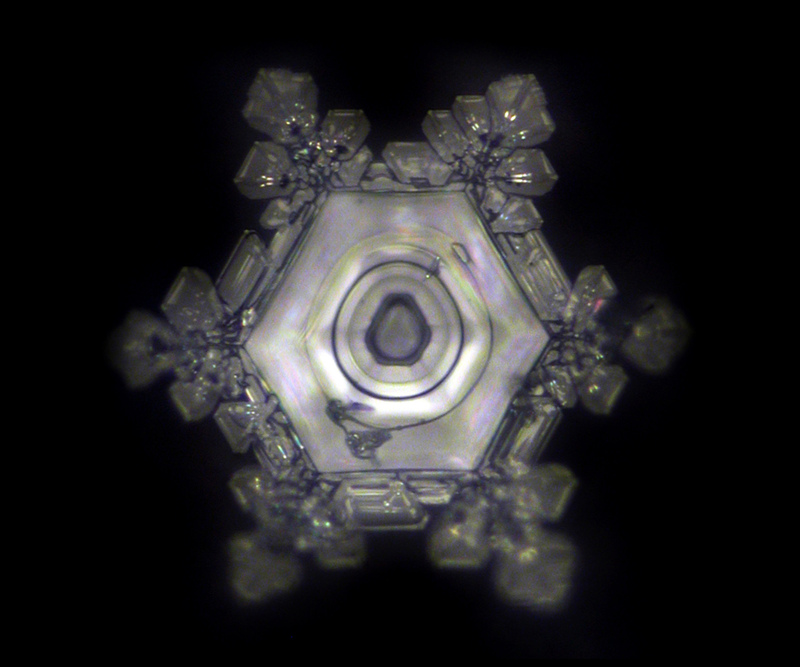 Again, this photo is from our tap water. 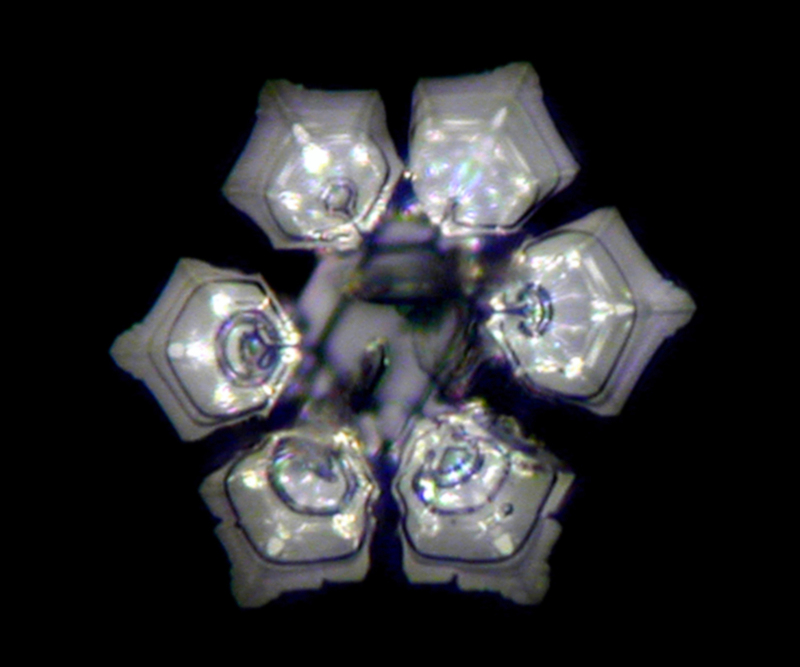 We see in the crystal a Buddha surrounded by many rays. The symbolism in the middle remembers of the large burial mounds in Japan, created during the Kofun period. The Crystal Buddha showed up without our aid. However, we were very happy and still try to live peace in our home and studio. 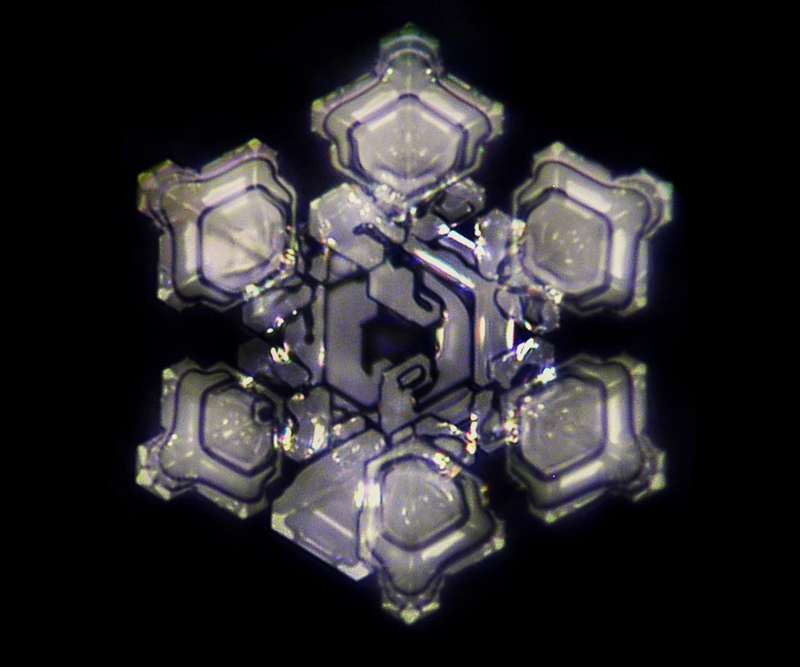 This is another crystal of our tap water. Birds are said to be the symbols of the soul. 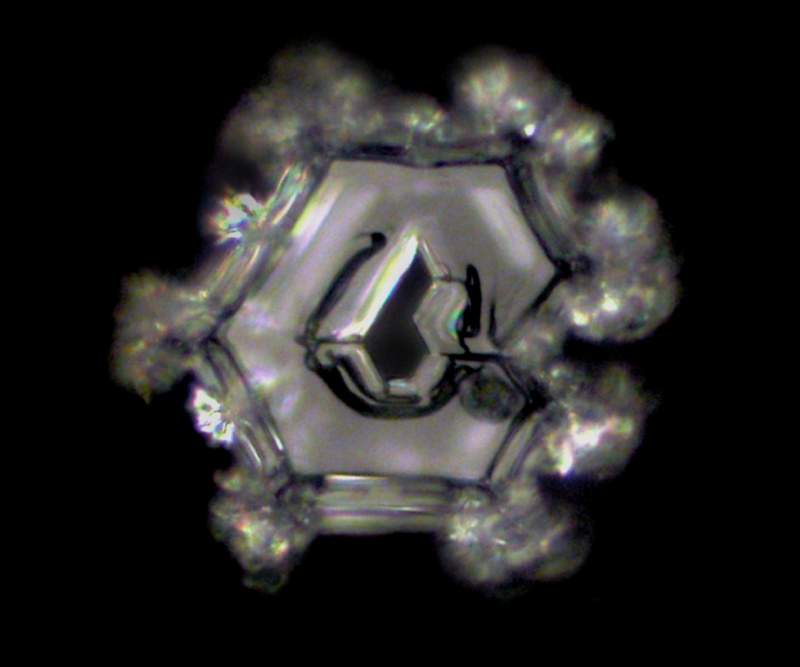 Maybe the bird at the bottom left is telling us that this crystal is the “soul star” of our water. 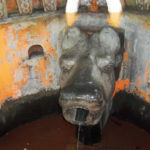 During our stay in Gokarna – India, we went several times to the sacred Raama Theerta Spring. We took a little water back home. The Indian are filling this drinking water very mindfuly in their bottles. Upon entering the source area, they take off their shoes. Below the source is a bath. They perform their holy ablutions there. Agnihotra is an ancient Vedic fire ritual. For this purpose, cow dung, ghee and brown rice are burned in a copper pot with a pyramid like shape. This happens always at sunrise and sunset. The ashes of these burned natural materials are very energetic. 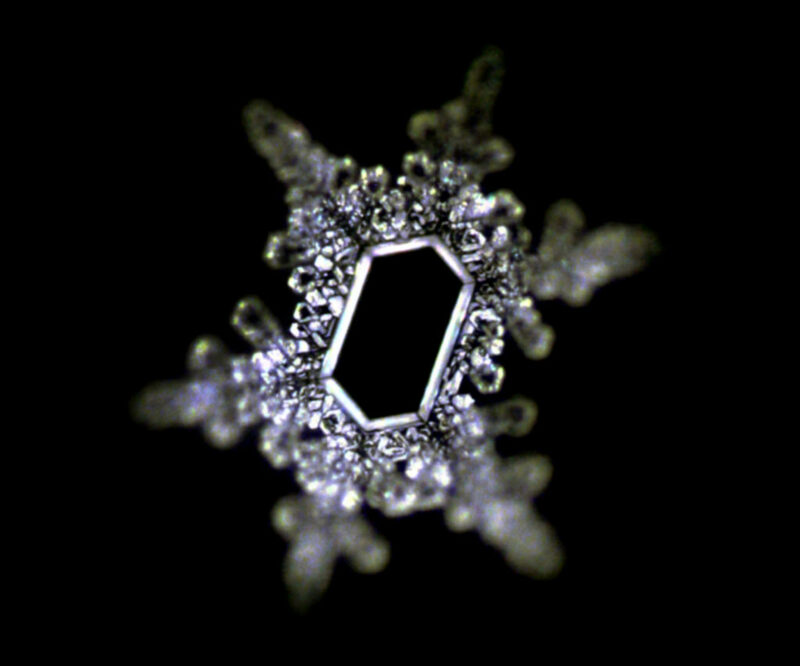 We put a pinch of it in water, which previously was barely able to produce crystalline forms. 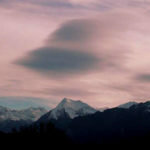 The Niesen is our local mountain on Lake Thun in the Bernese Oberland. An old legend tells about a healing spring emerging there. Did we find her? It would be located in a creek and would only be accessible in case of great drought. The water is accessible to everyone thanks to a sponsorship association at Weissenburg station. 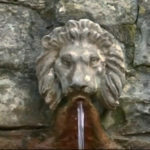 The granite fountain is always flowing. The church Scherzligen in Thun is ancient and a powerful place. It was first mentioned in a document in 762. However, we suspect that the Celts have already used this place. 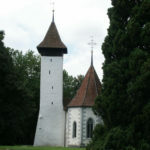 She is referred to as “Church of Our Lady to Scherzligen“. 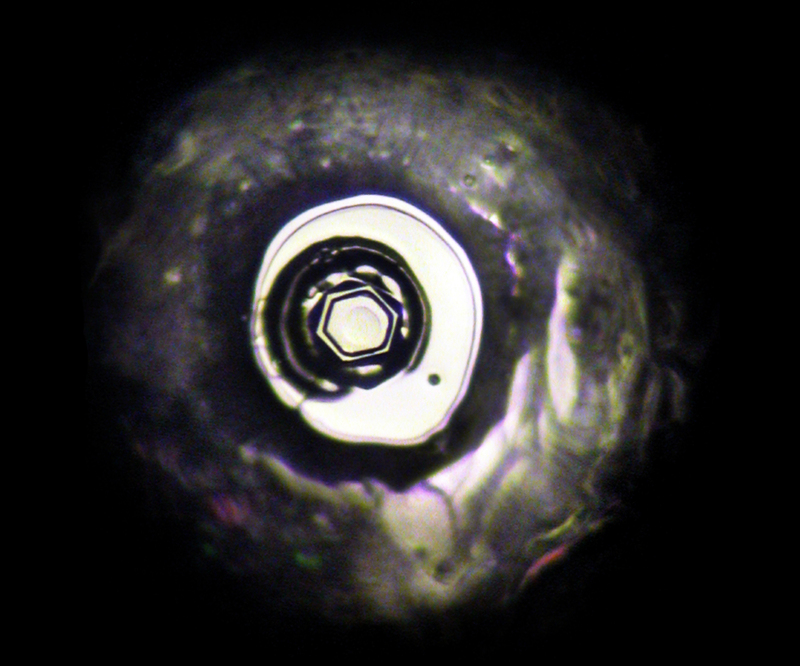 Maybe it is this woman who has laid herselfe around the crystal. She appeared on the water of the fountain on the church wall . 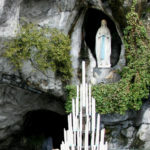 Lourdes is a pilgrimage site in the southern French Pyrenees. 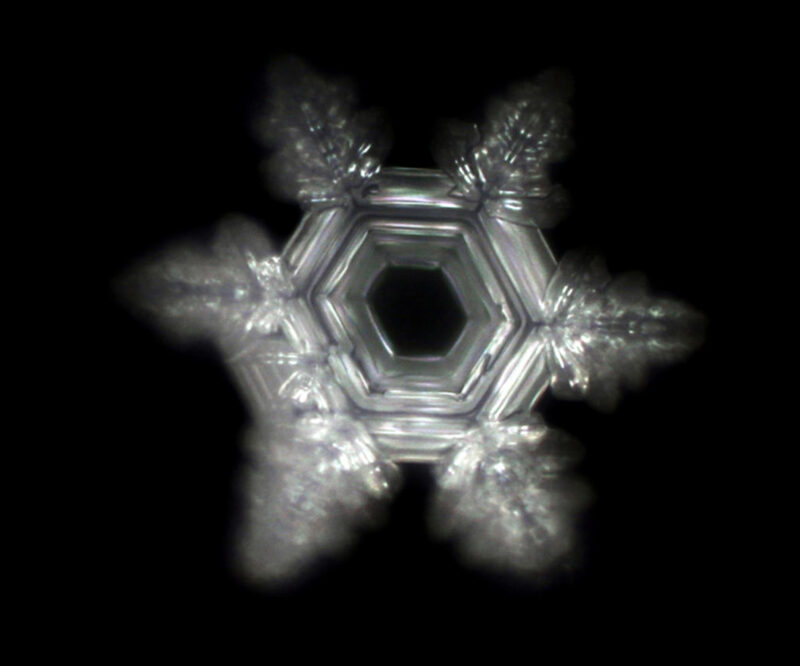 From drinking or bathing in the water, several spontaneous healings are officially documented. It is an amazing water. It maintains its source quality for years. We took Lourdes water home several times. 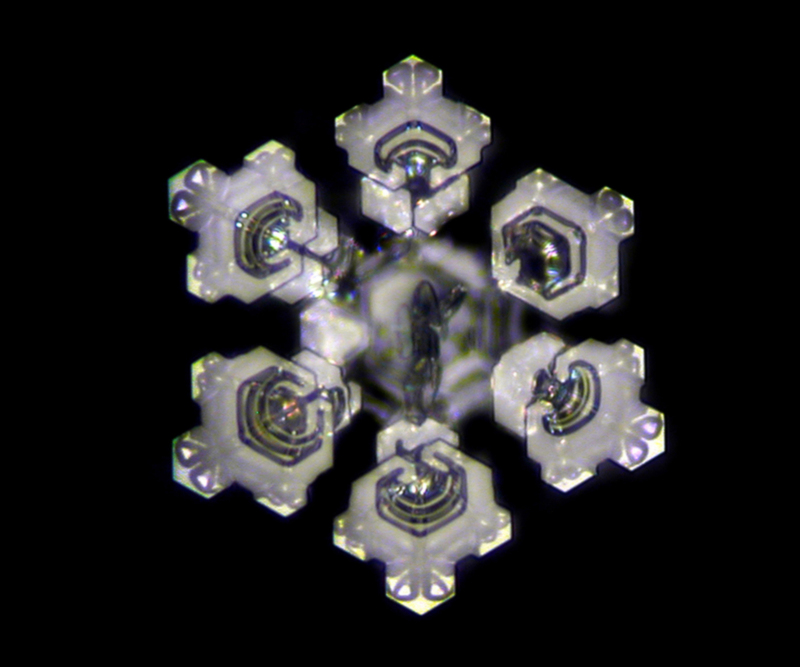 The oldest water has been in our basement for 10 years and still makes crystals on the frozen water drops. The Chalice Well source in Glastonbury. This well is one of the oldest wells in the UK. Could it be the AVALON fountain? 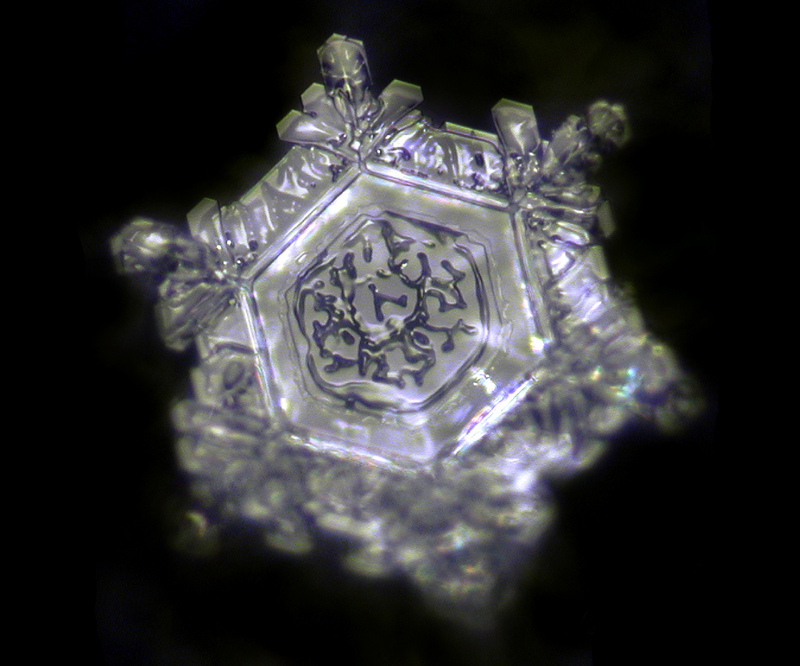 The resemblance to the water of the sacred Raama Theerta source is amazing. 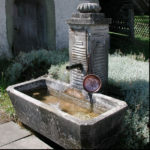 The Gätzibrunnen is located on an elongated hill in the Bernese Middleland. The pilgrim way of St. James leads past there. It is said that earlier pilgrims were freed from suffering after drinking the water. The water has the same temperature in summer as in winter. 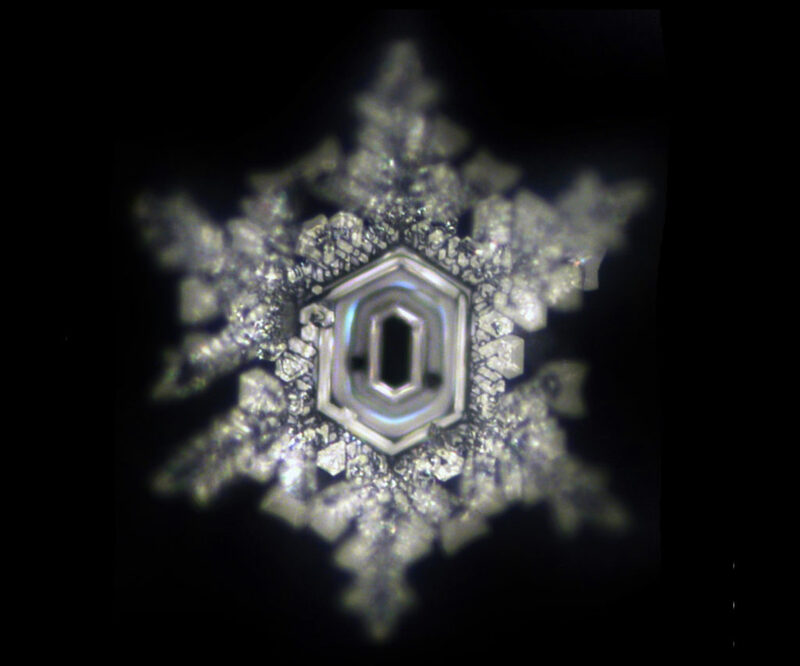 Could it be that this water is still curative effective today? 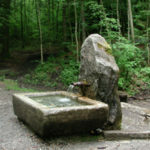 The glass fountain is located in Bremgartenwald in the city of Bern. 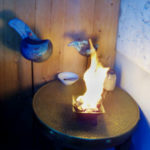 It is believed that the water of the glass fountain has a healing effect. The place of the fountain invites us to rest and relax. 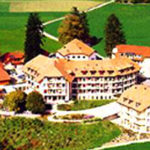 Einsiedeln is a well-known place of pilgrimage. 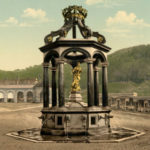 The Marienbrunnen, also called Fraubrunnen, is said to be located approximately at the place where he was at the founding of the monastery. Pilgrims love to drink the well water with dedication. 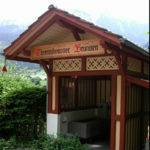 The Rüttihubel bathing source has a long tradition. However, it can no longer be used for bathing today. 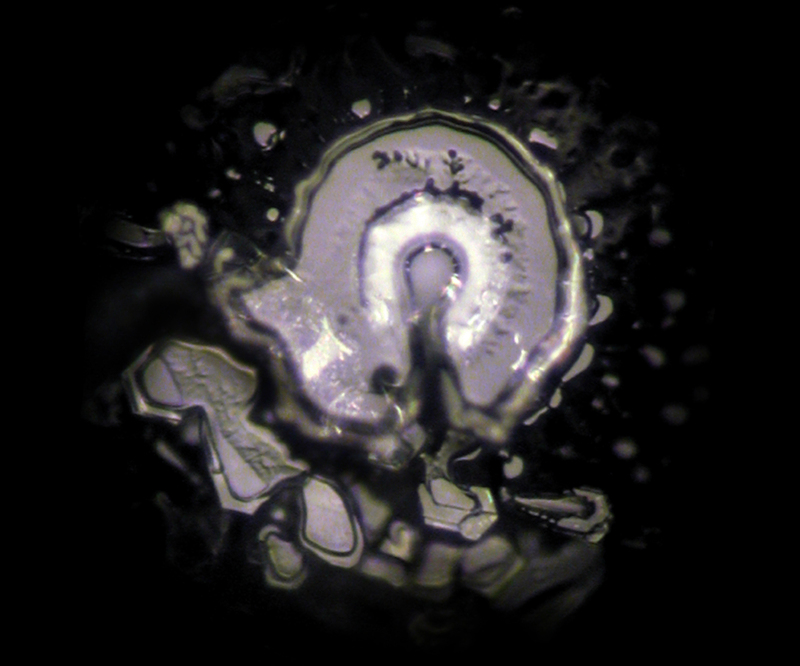 Part of the source is still visible and accessible with internal accompaniment. 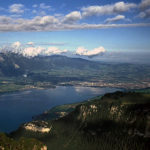 Lake Thun is located at the beginning of the Bernese Oberland. 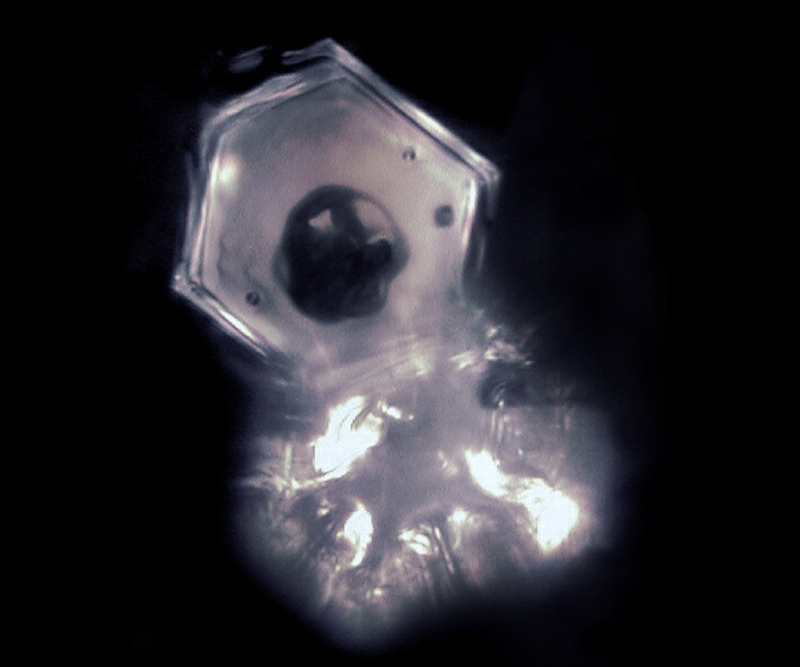 An friend of ours “read” the photo: a dynamic crystal, like the people there. In the middle the face of a bear, related to the Bernese (bear) country. 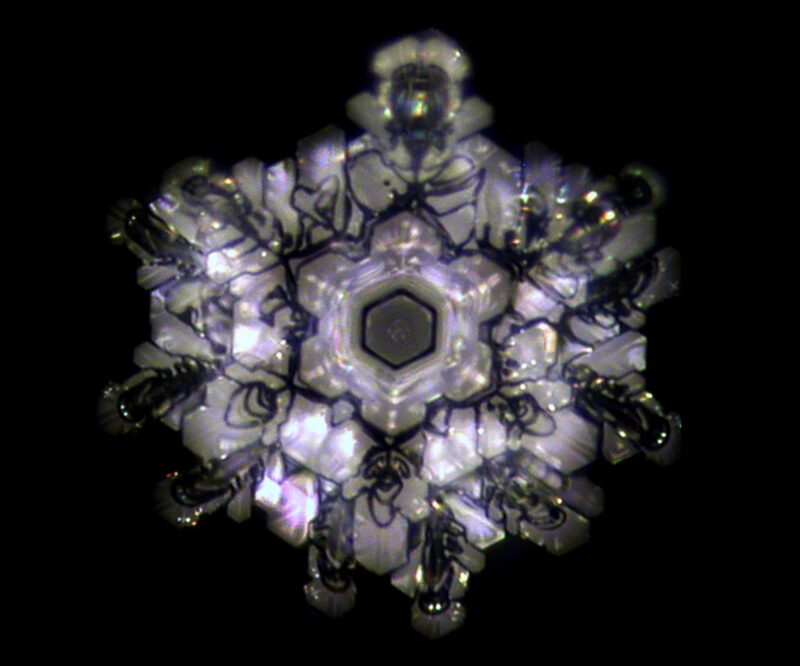 This is the water crystal from a farm source. 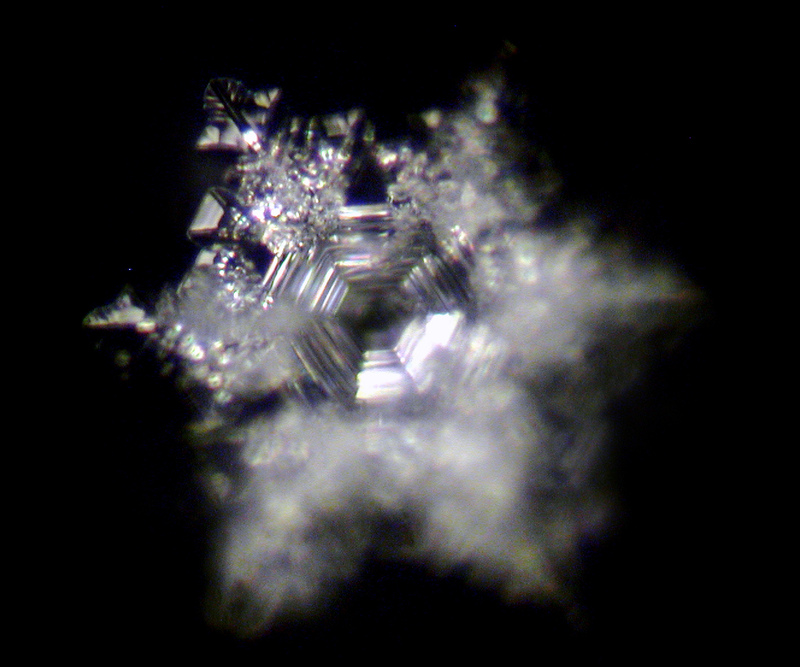 The great-grandfather would have dug the source and is visible in the crystal like on an old photography, we were told by his descendants. 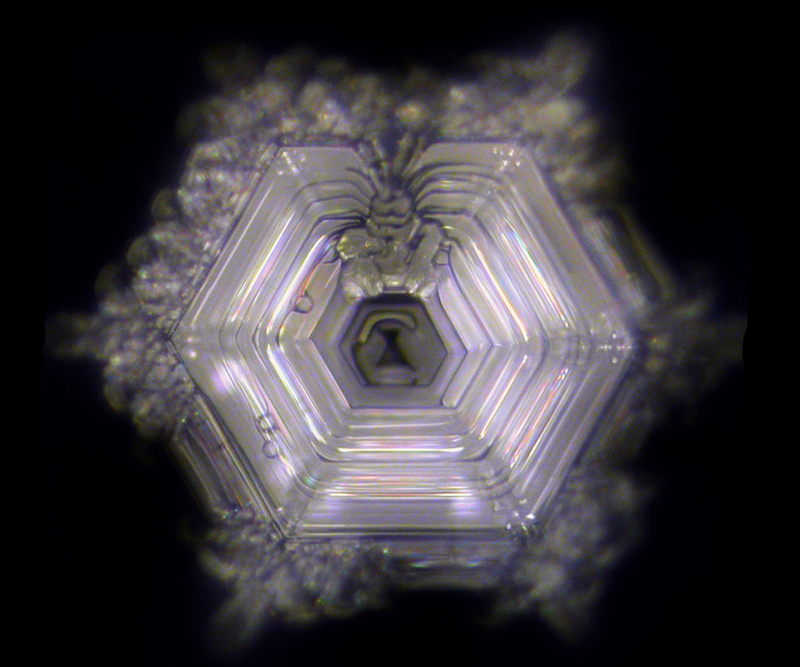 This is a water crystal of the Chalchmaad Organic Farm Source. 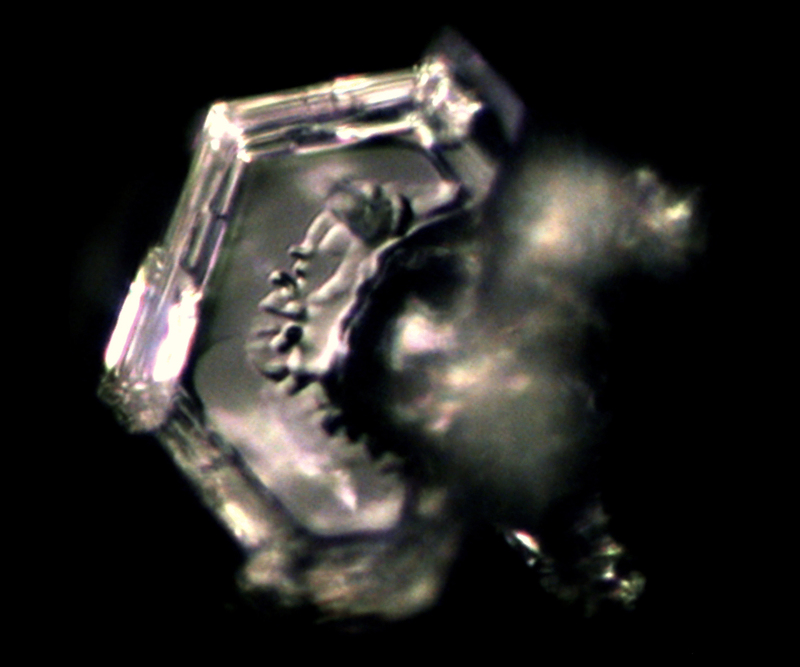 Some people see a water nymph in the crystal.